Dr. Eric Sorscher's laboratory is focused on development of cystic fibrosis drugs for patients who have less common gene mutations and do not benefit from available therapies. A new philanthropic gift to Emory University will support the advancement of cystic fibrosis (CF) research with the aim of developing effective new drug therapies and a cure for the disease. The gift from Eva and Charles Lipman will contribute substantially to the laboratory of Eric J. Sorscher, MD, and was an important factor in his decision to move to Atlanta as part of a joint recruitment initiative led by the Department of Pediatrics at Emory University School of Medicine, Children's Healthcare of Atlanta (CHOA), and the Georgia Research Alliance. Sorscher is a GRA Eminent Scholar and Hertz Professor in Cystic Fibrosis Research. An internationally recognized scientific leader dedicated to cystic fibrosis research for more than 25 years, Sorscher previously directed the CF Research Center at the University of Alabama at Birmingham. 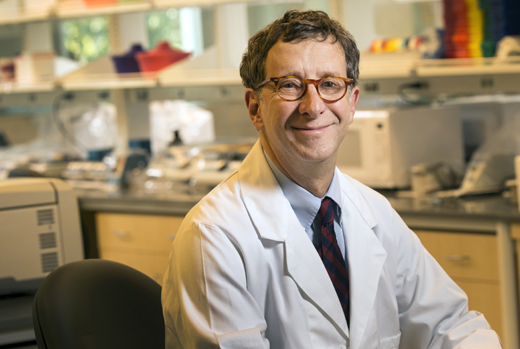 He now heads a thriving research program at Emory and Children's Healthcare focused on contributing new scientific knowledge and promoting development of novel drugs for CF. Sorscher is co-chair of the International CFTR Folding Consortium, a respected group of researchers supported by the Cystic Fibrosis Foundation and dedicated to understanding how mutations in the CFTR protein lead to the development of CF. "The emphasis of my laboratory is to advance CF science in the search for a cure for the disease," says Sorscher. "Enormous progress has been made through CF Foundation-funded research in the past several years toward development of new drugs called CFTR modulators, which dramatically help a subset of individuals with CF. A goal of our laboratory is to advance new treatments for patients who currently do not benefit from available drugs. These patients have CF gene mutations that are less common, such as the W1282X mutation. The Lipman family contribution will have a substantial impact on that effort over the next three years, and we are very grateful for their support." Sorscher has expertise in developing new cell lines relevant to understanding CF disease mechanisms and discovering new treatments. Many of the drug discovery programs that have led to new treatments for CF are the result of high throughput drug screening of large libraries of potential drugs. At Emory, Sorscher will work with leading drug discovery expert Haian Fu, PhD, director of Emory's Chemical Biology Discovery Center, a high throughput screening laboratory where scientists will be able to quickly analyze usefulness of new cell lines and drugs that can target gene mutations as potential treatments for CF. Sorscher's recruitment to Atlanta is part of the ongoing commitment of Emory and Children's to continue and advance its work as a major contributor to CF research through the Emory-Children's CF Center, led by Nael McCarty, PhD, and the newly established Atlanta CF Research and Development Program, a collaboration among Emory, Children's Healthcare of Atlanta, and Georgia Tech, supported by the Cystic Fibrosis Foundation. The support of the Lipman family is expected to serve as a catalyst in promoting CF science on the Emory campus and at Children's Healthcare. Not only will the gift allow these institutions to play a more prominent role in the search for new and better treatments for the disease, it aims to encourage the broader scientific community to pursue ongoing research on drug development for specific CF mutations. "The Lipman family recognized the positive momentum and expertise in our collaborative CF research program," says McCarty. "We are very appreciative of their support of Dr. Sorscher's recruitment and their confidence in our Atlanta consortium's ability to develop groundbreaking new treatments for CF."